PRATTVILLE, AL. — Former NBA star, Mark Eaton, was the keynote speaker at the Auburn University Montgomery Business Breakfast held on May 22 at the Marriott Legends at Capitol HIll in Prattville, Alabama. 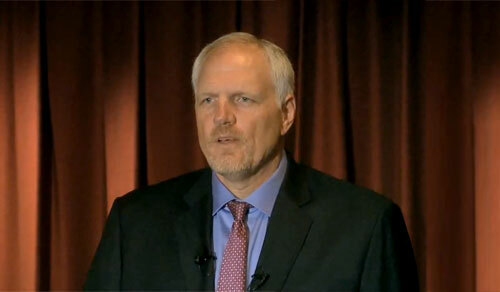 Photo shows retired Utah Jazz center, Mark Eaton, speaking in 2011 about his NBA career. “Eaton’s rags-to-riches tale is the stuff of legend. At age 21, he was working as anauto mechanic in California when an assistant basketball coach from Cypress Junior College met him while picking up a car and encouraged him to try out for the team. Despite his 7-foot-4-inch stature, Eaton had never been much of a basketball player. He went on to play two seasons at the University of California, Los Angeles, before being drafted into the NBA in 1982. He spent 12 years with the Utah Jazz before retiring from the game due to injury. Watch Mark Eaton speaking about his interaction with NBA Legend Wilt Chamberlain. Mark Eaton is a retired NBA player who played for the Utah Jazz (1982-1993), with one NBA All-Star selection in 1989, & two NBA Defensive Player of the Year awards in 1985 & 1989. Today Eaton is a business leader and radio and TV personality. If you would like to book basketball speakers or NBA stars like Mark Eaton for a speaking engagement, autograph signing, guest appearance, fundraiser or special corporate event, you can contact Mark Eaton booking agent for speaker fees at Sports speakers 360 or call 1.855.503.5450.